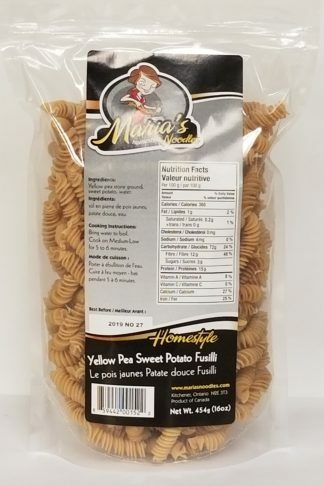 Maria’s Homestyle Noodles was established in 1988 by owner Ted Jasinski, and together with his son, Arthur, they operate the business out of Kitchener, Ontario, Canada. Ted’s roots go back to Poland, where his mother in law, Maria, and her Italian immigrant parents settled, and where she was born. Maria taught her son Ted, the art of making home style pasta noodles in the tradition of Italy. Today, the product is a lasting dedication to Maria’s legacy and name by the Jasinski family. Ted and Arthur really put a lot of effort into crafting the perfect artisan pasta. From flavour, aroma, texture and shape, they’re quite confident that you’ll love the varieties and flavours of their pastas. Is your pasta really wheat free? We go to great lengths to ensure no wheat ever touches our gluten free pastas, including a completely separated processing facility. Our pulse based pastas are naturally crafted & dried. These pastas are made using just stone ground natural ingredients. No Eggs, No Wheat, No added artificial colours or preservatives! Pulse based pastas such as Red Lentil, are high in Iron & Protein. 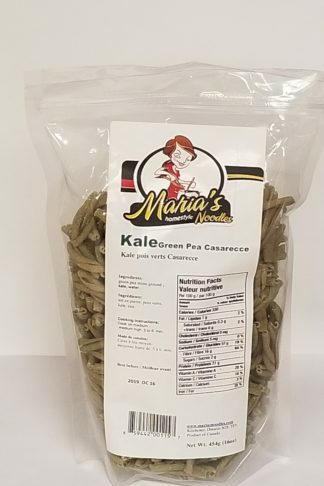 Peas and pulses are a good source of B vitamins & magnesium and rich in soluble fiber, and are therefore great for maintaining a healthy heart and body! Pulses are a slow burning source of complex carbohydrates that help to stabilize blood sugar and maintain energy levels. Since Maria’s Home Style Noodles are made only with pulse flour and water, they can be considered to provide these same health benefits. What makes your Artisan Pasta’s unique? 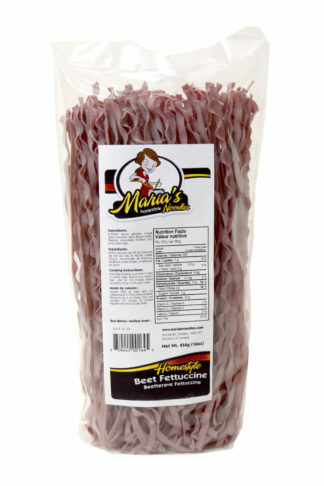 Maria’s Noodles really put a lot of effort into crafting the perfect artisan pasta. From flavour, aroma, texture and shape, they’re quite confident that you’ll love the varieties and flavours of their pastas. It starts with simple ingredients. Our wheat flour comes from local Canadian sources we can trust. Durum refers to a variety of wheat that is prized for its high protein content, as well as its strength. It is low in gluten, which makes it less desirable for bread making, but it is the perfect strong stretchy traditional pasta making wheat. Semolina refers to the starchy part of the grain of wheat that is separated from the bran and germ in the milling process. You can boil it into a porridge known in Canada as Cream of Wheat, or it can be ground into flour.